Women aren’t the only ones who worry about what they look like at the pool or the beach. As summer approaches, many men are just as insecure about baring more skin. If your goal is to look your best this summer, consider adding A-HD Elite™ to your training and nutrition plan. A-HD Elite™ is a powerful formula designed to promote healthy testosterone levels in men. As men age, testosterone production naturally begins to decline. After 40, that rate of decline reaches about 1-2% per year. Symptoms of this lowered rate typically show up together and can include afternoon fatigue, weight gain around the midsection, difficulty putting on muscle, sleep disturbances and mood swings. If you’re experiencing any of these symptoms, A-HD Elite™ may be the key to feeling like yourself again. 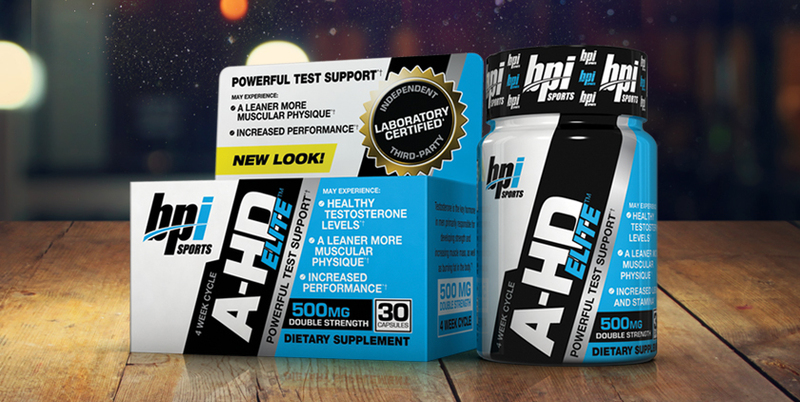 The unique ingredient profile of A-HD Elite™ is designed to support a healthy, anabolic state. Along with the proper diet and exercise regimen, this formula may provide increased stamina, muscle fullness and performance in the gym. It is also intended to promote a shredded, harder, more dry-looking physique. Zinc – This biologically essential trace element is the second most abundant trace element in the body. It is a cofactor in many biological processes including protein synthesis and the maintenance of healthy testosterone levels. Chenopodium album extract – This plant has a long history of traditional usage for enhancing stamina and more recent scientific studies suggest it also supports a healthy anabolic state. Trichopus zeylanicus extract – Research suggests this rare plant with a history of traditional usage in certain global regions may promote testosterone-based performance, such as the ability to perform longer and under more strenuous conditions. Caesalpinia benthamiana extract – A particular part of this plant, extracted using modern technology, may support important parameters of anabolic performance. For the best results, we recommend taking one capsule first thing in the morning for 4-8 weeks. That means if you start today, you could be board short-ready by the time the pools open!